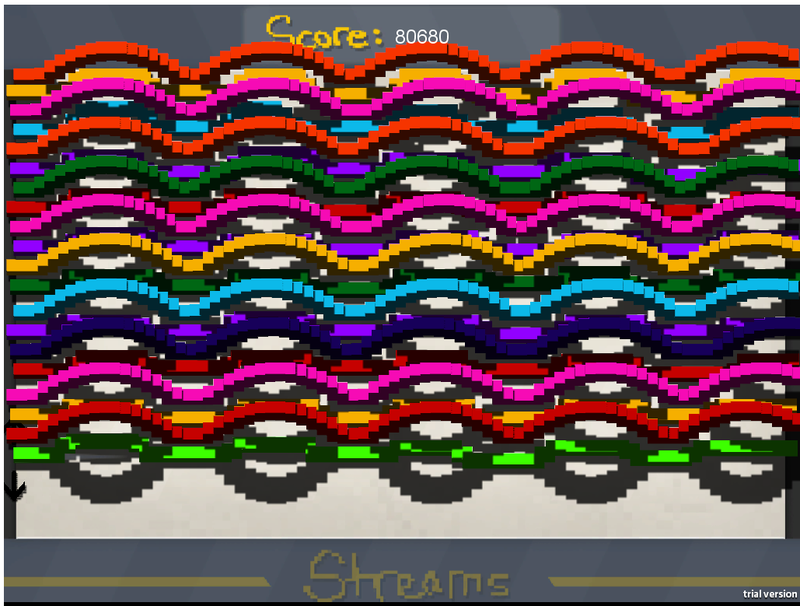 Streams is a little game built to hopefully inspire your creativity and risk taking. Appeals to players artistic side and those who are just a little bit competitive. Aim is to score as high as possible. Press up and down to move. Press space bar to launch stream and jump. Game over when you run into your previous tracks. Players can jump their existing streams and also go under their previous jumps. Higher the risk, the more you score. Exploit-free version available on my site, as are builds for Mac and 64 bit windows. We should get Hu Hu to upload it. Great! You should upload it here as well. I proudly pronounce you the official Streams World Champion.